We are pleased to announce an innovative NEW SERVICE we are now offering at RedBloom Salon…. Say hello to REDBLOOM EXPRESS SERVICES! A collaborative in salon and at home color experience. Basically, we apply the professional color in salon, wrap it up in our special RedBloom head wraps and you wash the color out at home! Want more of a break down on how it works? > Check in, get your head wrap, make sure you have color conserving shampoo and conditioner and change into your robe. > Next, you'll have a consultation with your stylist who will go over the homecare guide and have you sign a waiver. > Then your color will be applied and we'll place on your head wrap. > Before you check out, we'll set a timer on your cell phone for when you need to rinse, make sure you have your homecare guide and send you on your way! > At the recommended time, follow the instructions on your homecare guide and rinse out your color in the comfort of your own shower. What you do after that is up to you! What type of express color services will we be offering? Are you a candidate for our RedBloom Express Services? To receive these express services, it needs to be a tried and true formula that we have previously used on your hair; this helps us ensure the results. It can be a solid color, a gloss or even a toner for you blondies in between a highlight appointment. Why did we create RedBloom Express Services? To save you time and money, while still enjoying the same great salon service. Because we think that you shouldn't have to sacrifice on professional service to have fresh, beautiful color all the time. Sound appealing? Let us know if you think this is a service you'd like! Our beverage offerings for Season 3 (April 1st - May 15th) at RedBloom Salon. Vanisha is the Founder, CEO and Social Justice Warrior of the Terminator Foundation, who’s vision is to reach individuals on a global scale that are affected by drug and alcohol addiction to radically revolutionize their lives using the Triathlon experience. After overcoming her own personal recovery and that of her daughter Eden, she became devoted to living her life and her recovery out loud. Using her past along with her skills and education, she helps others thrive after facing their own adversities. Vanisha’s mission is to declare war on the shame and stigma associated with addiction in hopes that other youth might find their way home and that every person grasped by the clutches of this disease may also find their voices and receive the support, acceptance and compassion that they legitimately deserve. Vanisha exemplifies that, regardless of the obstacles one may face, everyone can conquer them and build a life of resiliency and hope! What’s a unique gift that you want to share with the world? How do you continue to Bloom? 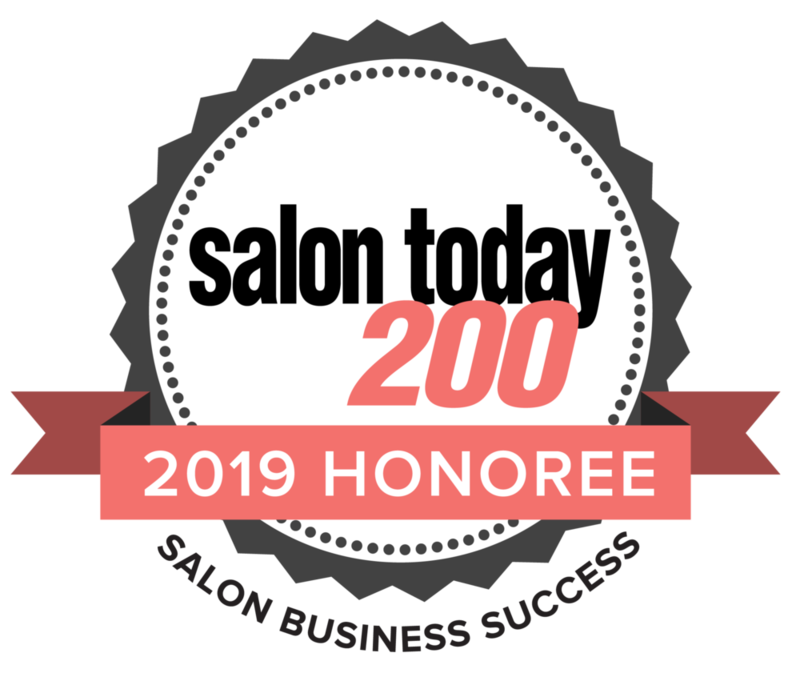 Top 200 Salon in North America 2019! We are delighted to announce that for the 5th year in a row, we’ve been named a TOP 200 SALON in North America in Salon Today Magazine! 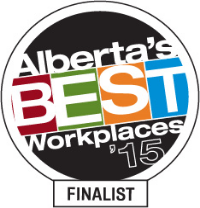 At RedBloom, we love to support local businesses here in Calgary. 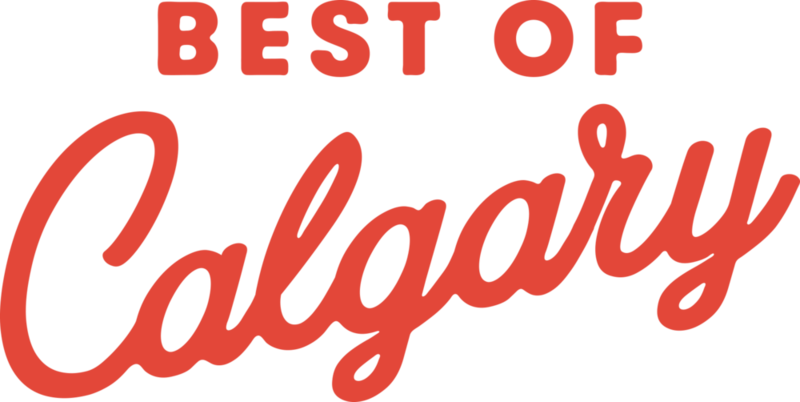 Throughout the year we feature our #LocalLovesYYC and share with you our favourite local businesses and neighbours. This holiday season, we’re sharing our favourite picks for all your holiday gift needs! From lifestyle to clothing, and everything in between, we’ve got you covered. Local Laundry YYC Crew Sweatshirt. Represent Calgary and keep warm with this comfy and stylish crew-necked sweater. 100% made in Canada including printing. 10% of proceeds goes to charity! Ayer copper water bottle. When drinking water from a copper water bottle, the water absorbs the copper and its nutrients. Scientific studies have show that copper removes bacteria and impurities from water through its antimicrobial properties. MacAusland’s wool blanket. Made in Canada - made in PEI since 1932. They use 100% virgin wool yarn and old-fashioned machinery to make lightweight and durable blankets. $90-$170 depending on size & colour. Gift cards in any amount. Or 10, 20 class passes. $69 Intro pass. For the fitness fan in your life! Geometric frame. Placed on a table or hung on wall, the PRISMA frame will add a third dimension to your photos. Tuscan herb infused Olive Oil. Give this to the chef in your life! Bright flavours of Garlic, Rosemary, Thyme, Oregano and more give this oil it's distinct flavour. Perfect for salads, pastas, chicken, beef and much much more! Blanket Scarves. Various colours. Keep warm on those chilly winter days ahead. A fluffy, cozy robe for snuggling up by the fireplace with a hot cup of tea. Evo. Soap Dodger & Self Indulgence. Body Wash & Body Lotion. We love Soap Dodger & Self Indulgence for gifts! Stay in touch! Let us know if you pick up one of our holiday gift recommendations by using the hashtags #redbloominreallife and #locallovesYYC ! Happy shopping, and thank you for continuing to support local businesses in Calgary!